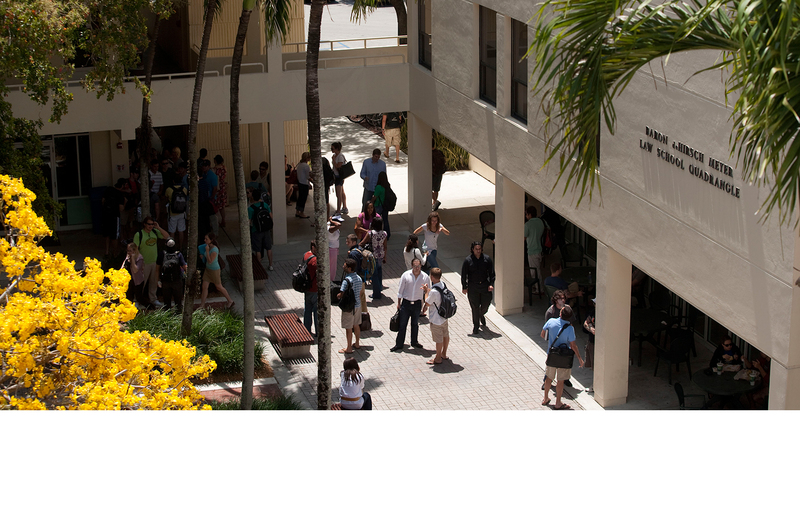 The Law School is situated on the 239-acre campus of the University of Miami in suburban Coral Gables, Florida. 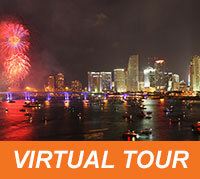 Miami Law encourages prospective students and applicants to visit campus. For prospective students visiting the Miami area, please contact student recruitment to arrange a law school tour or to meet with an admissions counselor. To see scheduled tour times and plan a visit, please use the law school’s online visitor’s form. See Directions, Parking, Map for the law school. There is very convenient airport access to the University. Miami International Airport (MIA) is just 7 miles from campus. Another airport option is Fort Lauderdale Airport (FLL) about 30 miles north. Click here for more information. Miami-Dade County’s 25-mile Metrorail elevated rapid transit system connects the campus at University Station to downtown Miami and other stops in Miami-Dade County. It also provides service to Miami International Airport (MIA) and runs from Kendall through South Miami, Coral Gables, and downtown Miami. It also has connections to Broward and Palm Beach counties at the Tri-Rail/Metrorail transfer station and Tri-Rail offers stops as far north as West Palm Beach, FL. Click for Metrorail information. Click for Tri-Rail information. There is Miami-Dade Metrobus service with stops at UM, and once on campus there is the Hurry ’Canes shuttle which stops throughout campus and at the law school. For more information on how to navigate around the University campus, please see the University’s campus map. The University of Miami offers discounted rates with local hotels for all University of Miami faculty, staff and students.